Intelligent PDUs (iPDUs) make remote power management fast, simple, flexible, and secure. Unlike basic PDUs which require you to be physically present in your data center, intelligent PDUs can be managed from afar over a secure network. 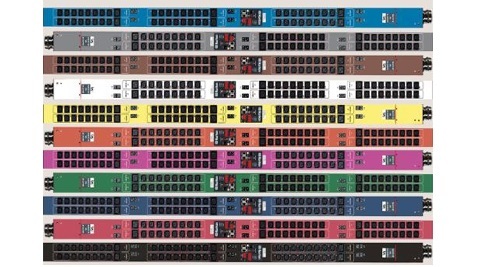 Manage a single PDU or groups of PDUs simultaneously. Users can define thresholds and receive alerts via SNMP, email, and syslog when thresholds are crossed for both power and environmental events. This simple features may prevent unplanned downtime by warning data center managers when a rack is about to exceed its load and provide the opportunity to move applications elsewhere. Intelligent PDUs are available for various level of monitoring and control: unit level monitoring,outlet level monitoring and outlet level switching.